HIGH MILEAGE BUT IS IN OVERALL GOOD CONDITION AND IS SELLING FOR A STEAL OF A PRICE ! 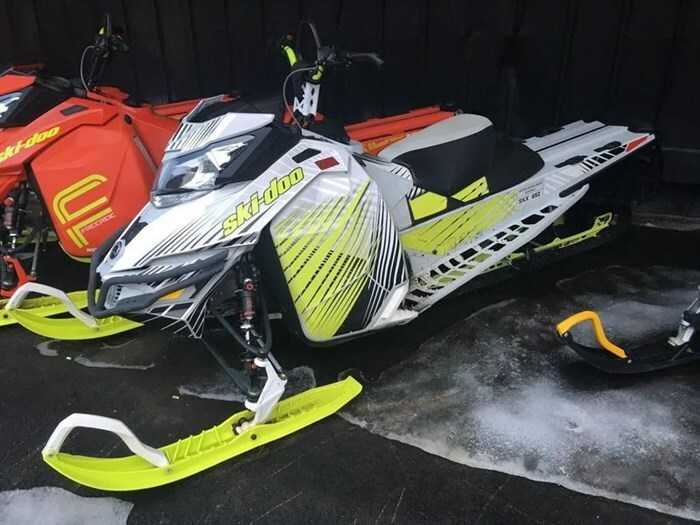 2014 Ski-Doo Freeride 154 800R Going your own way has never been so easy or so fun, as the 2014 Freeride is reborn on the REV-XM platform variation with new rear suspensions. It’s designed around the driver specifically for off-trail manoeuvres and powder play. And its RS chassis includes key reinforcements for taking big hits with ease.